We love seeing how other companies use our API to bring actionable mobile data into their solutions. 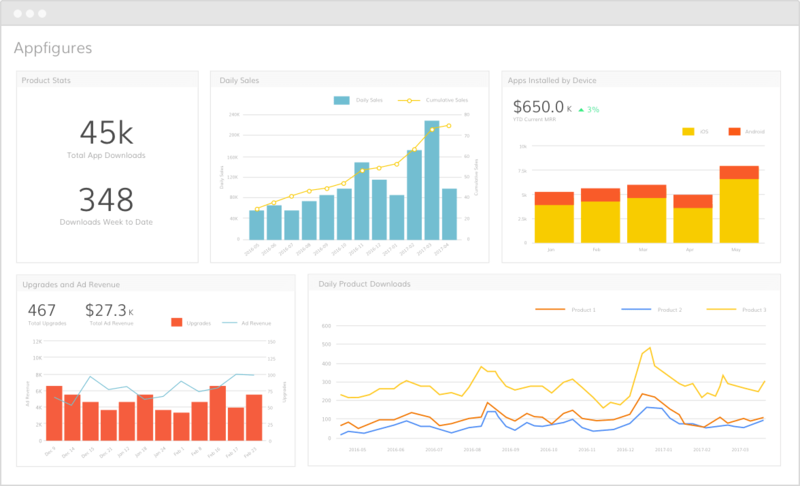 Today we’re going to look at Grow, a powerful reporting and BI dashboard platform. Grow’s goal is to bring actionable data into every part of your company. From mobile data to expenses and performance, Grow focuses on making disparate data sets easily accessible. A clean mobile app that’s easy to use for technical and non-technical folks alike. Mailing list open rates (from MailChimp) + App downloads + Daily Active Users – A simple way to see if those marketing updates are actually driving engagement. 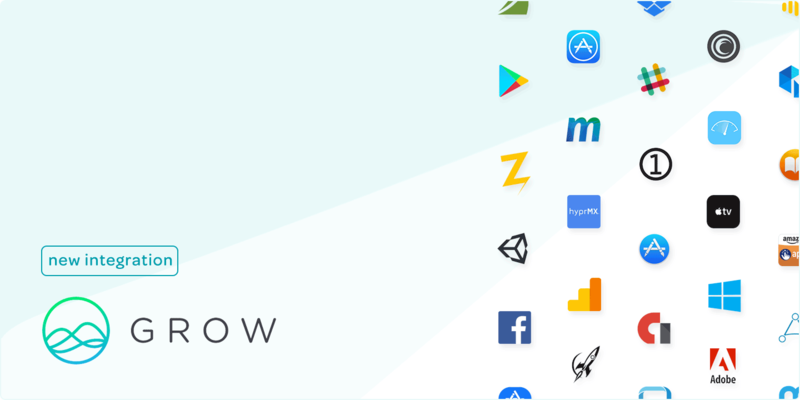 Website pageviews (Google Analytics) + App Store Views – Keep track of how well your app’s marketing site/page is at getting potential users over to the app store. Total revenue (Appfigures) vs. Expenses (Quickbook or your bank account) – Visualize your bottom line. This is just a taste of what you can do with Grow + Appfigures. Give Grow.com a try or check out other dashboards we’re built into.